In Paray-le-Monial, many are those who consecrate themselves to the Sacred Heart. Whilst offering to live those steps, the Sanctuaries rely on the promises of the Sacred Heart. The consecration to the Heart of Jesus is a step in faith, hope and charity. It constitutes an intended renewal of the baptismal grace, an answer to the love of God for us. What does the consecration to the Heart of Jesus mean ? The consecration to the Heart of Jesus is a school of spiritual life, life in the Holy Spirit. It is an easy way in order to realise daily the grace of baptism. When said everyday, the prayer of consecration reminds us to watch, all day long, to render to Christ love for love. The introduction of the Sacred Heart in families is to display the picture of the Sacred Heart in a place of honour in the home ; it means to do, or renew, the consecration of the family to the Sacred Heart ; it means through this act to recognise solemnly the kingship of love of Jesus and to commit oneself to live according to His will. 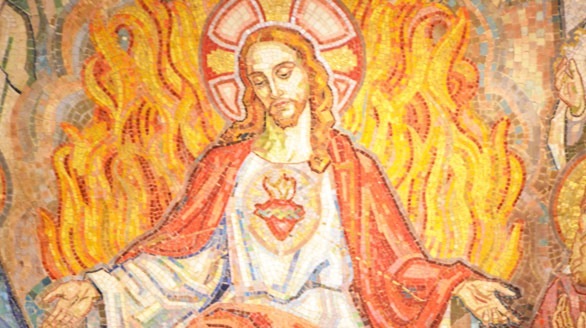 To consecrate oneself to the Sacred Heart of Jesus is an act of faith and love which takes all its meaning in the promise of Jesus for all homes. It is the grace of this place. It is the grace of discovering the infinite love of the One who gave everything for mankind. But it is also the grace through which many families wish to respond to Love by love. In Paray-le-Monial, many come close to the Heart of Jesus in order to consecrate themselves to Him. It is an act of strong commitment which goes way beyond saying a simple prayer. “The consecration to the Heart of Jesus is an act of faith, hope and charity. It is an intended renewal of the baptismal grace, an answer to the love of God for us. It is a bit like a declaration of love, one which is received and shared.” Father Alphons Pachta-Rayhofen, former chaplain of the Sanctuaries of Paray-le-Monial. Whilst offering to follow those steps, the Sanctuaries rely on the promises of the Sacred Heart. To consecrate one family to the Sacred Heart of Jesus is a response to God’s entire love to Margaret Mary. : Jesus said “He would protect and assist families”. Thanks to Jesuit fathers who have been promulgating the consecration of families since 1870, many have made this act of faith. 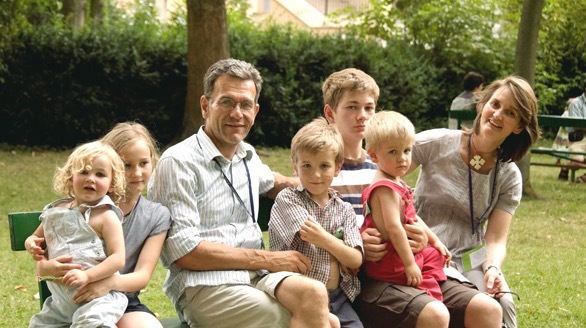 “The Lord has a particular care for families. He gives them graces to be faithful to the commitment undertaken in the sacrament of marriage, but also to be witnesses. Today, families have a great desire to go back to one’s roots, they know that they need to be supported, helped and encouraged. By taking this step, they put the Lord back into the heart of family life and their couple”. Father Benoît Moulay, a priest in le Mans and former chaplain to Paray-le-Monial. Having come to bear witness in Paray-le-Monial in 1986, Mother Teresa recalls the particular importance of this consecration : “love begins at home and the Heart of Jesus must be the centre of this love. 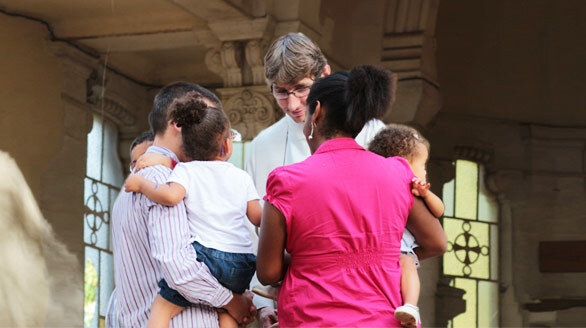 The consecration is a means of touching and uniting all families. It brings peace and unity to divided families”. Through the Heart of Jesus, families discover also that the Love of Christ takes shape in His human family, the Holy Family. A pattern that is close to us. “the family is the place where we learn to love. Therefore it is a question of living a very specific commitment, explains Father Alphons. Christ consoles, forgives, heals. He asks us to let us be loved by Him. But we need to adopt the means to do that”. 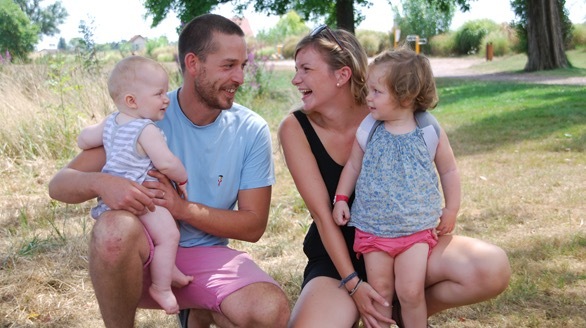 During the feast days in the Sanctuaries, throughout the year or during the Summer Sessions in Paray-le-Monial, families commit themselves to the Heart of Jesus during a Mass. First of all, everyone is invited to say the prayer of personal dedication which then extends to the couple and the children through the consecration of the family. In order to help them to live this consecration in their everyday lives, each family is invited to take an image of the Sacred Heart. When it is well positioned in the home, it recalls a presence of Jesus in the family and the confidence to live by Him. This visible sign helps them to renew everyday the commitment that has already been given. Their dedication is often conveyed by a greater faith in Adoration, Confession and daily prayer. Some families then ask for the home to be blessed”, says Father Moulay. “Most Sacred Heart of Jesus, I place all my trust in You”. For the Sanctuaries magazine of Paray-le-Monial, Friday 17th February 2012.